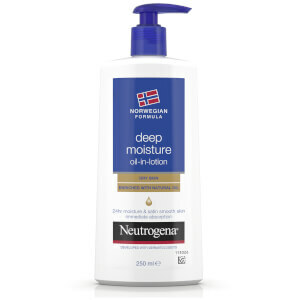 The Norwegian Formula® Deep Moisture Comfort Balm gives the richness of a cream in an instantly absorbing balm, especially formulated to bring comfort to dry skin. 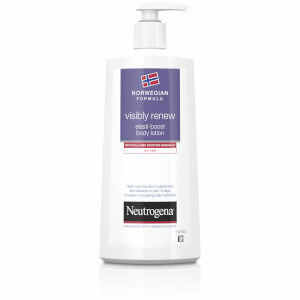 Its Norwegian Formula is clinically proven to deliver active moisture up to 10 layers deep in the skin*, for 24 hour moisture and long-lasting comfort. Its non-greasy texture melts into the skin immediately, leaving skin perfectly soothed and soft. Its fresh and gentle scent provides a comforting feeling upon application. *upper layer of the epidermis. Apply everyday all over the body. Can also be used on the face. [PR-007607], Aqua, Cyclopentasiloxane, Glycerin, Cetyl Alcohol, Dimethicone, Caprylic/Capric Triglyceride, PEG-100 Stearate, Glyceryl Stearate, Butyrospermum Parkii, Sodium Acrylate/Sodium Acryloyldimethyl Taurate Copolymer, Isohexadecane, Stearyl Alcohol, Myristyl Alcohol, Polysorbate 80, Acrylates/C10-30 Alkyl Acrylate Crosspolymer, Sodium Hydroxide, Phenoxyethanol, Methylparaben, Propylparaben, Parfum. 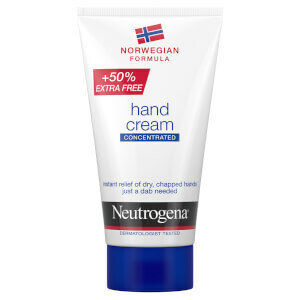 Great product, feels like I've swam in the great Norwegian fjords after use!